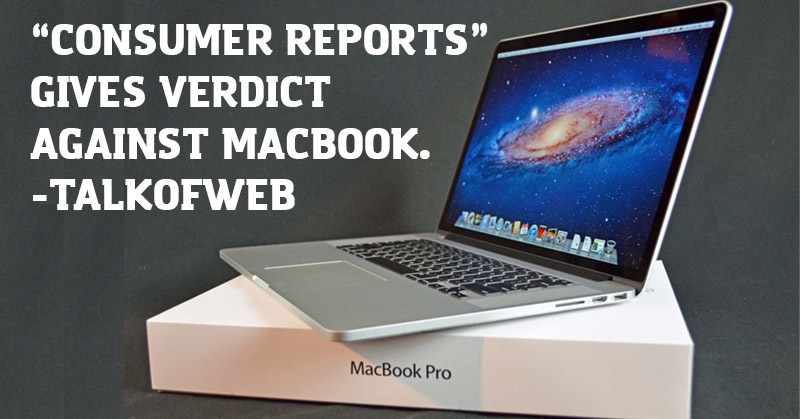 Consumer reports is a complete structure to judge the overall performance and working statistics of Macbooks. It has never happened that consumer reports didn’t recommend Macbook pro. This time it has happened, consumer reports has given its final verdict which results into giving no place to MacBook pro for the recommendation to others. Consumer reports is a non-profit organisation which runs tests on the macbook pro, recently they ran tests and gave no place in their recommendation list. This result, actually stirred a lot of awkwardness in the tech community which support Apple. Later, even consumer reports released a report telling others that even re-running tests can’t influence their results. The problematic battery life – Consumer reports faced issues with battery life. They ran three tests where auto browsing is taken into account. The first session was in Safari which resulted in a lesser battery timing than promised, the second session was on the chrome, which resulted in a slightly better battery life than the safari’s session. Interesting? Yes, I thought the same.Maybee the battery variations are because of some faulty browser, since consumer reports take the default browser into their scoring. Consumer reports tried every newly released model with 13inch to 15 inch variations, with and without the touch bar. The battery life was inconsistent, going to 3.5 hours in some cases while jumping to 16 hours in another. The 15 inch was varied from 18.5 down to 8 hours of battery life. The 13 inch on the other side varied from 19.5 in one trial to 4.5 hours in other trial. Battery must vary 5% from test to test – According to the Consumer Reports, the battery life only varies 5% from one test to another. This is weird behaviour according to them, the variations of more than 50% in one test than the other. This backs up various consumer reports which highlight the battery issues, which are nowhere the promised capacity. Apple has also released a statement about this issue that who ever faced such issues, then the customer service is right for their help. Apple’s VP of marketing Phil Schiller is insistent that these reports don’t resonate well with their extensive lab tests. Even in some reports which are not confirm yet, it’s been said that to meet the holiday orders Apple is going to use the old battery technology. Well, technology innovation surely is a tough process and a lot can go wrong, Note 7 surely made us see this phenomenon in the case of technological errors.